Hi Paul, a magnificent post! Sorry about the pun. 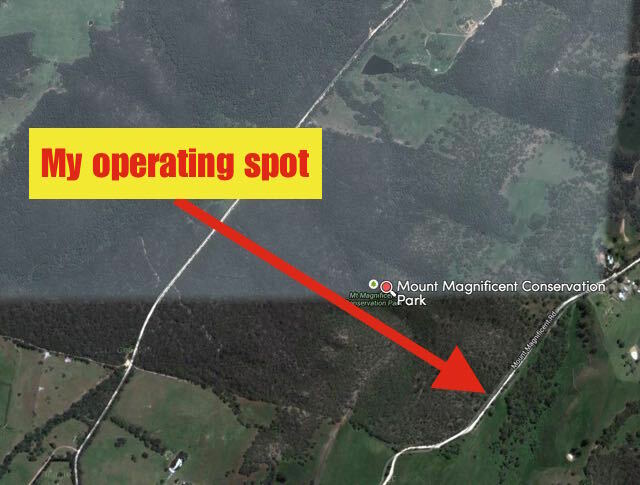 But I was really pleased to work you from Greater Bendigo (One Tree Hill Lookout). Well done on the DX and W1AW/KH6 on 40. I worked W1AW/KH6 on 20m last night in Bendigo while mobile. I heard him calling CQ, pulled over and put my big gun on the front (the Hustler 20m) and got him easily. All in all 15 more at Greater Bendigo NP. Hope you are enjoying your trip thus far. 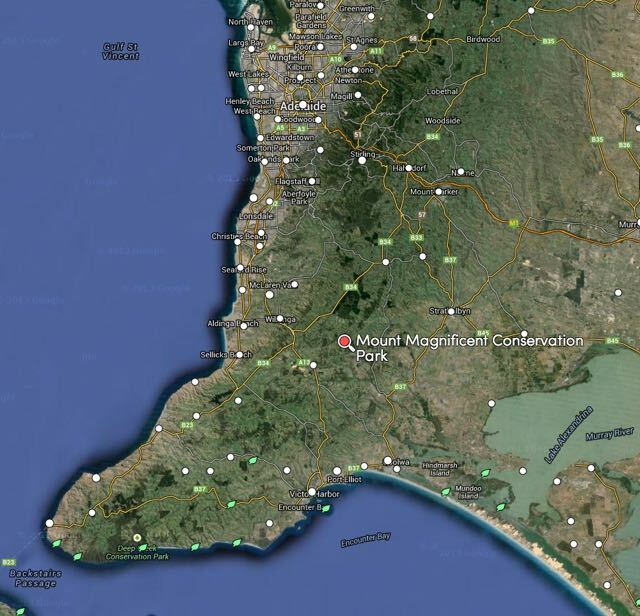 This really is a ‘magnificent’ park with amazing views of the Fleurieu Peninsula. And it waas full of kangaroos. It was a struggle for me with W1AW/KH6, but perseverance paid off. Congrats on working him. Best wishes & have a great Christmas. Paul, very happy to get you in the log – thanks. I recall conditions were slightly better in vk6 than the previous day, but still s7 static crashes on 20m. Looks like the park does indeed live up to it’s name from the photos. I also saw quite a few roos driving out from my summit, the first being only 50m down the track. That time of day. I have only worked a handful of VK6 SOTA summits, so it’s always great to get a VK6 activator in the log. Yes, Mount Magnificent is a very pretty spot. Sadly it doesn’t qualify for SOTA due to the associated prominence issues. Netherless, it is a magnificent view. Thanks for giving me a call from the summit.